Ever tasted something so delicious you just can't stop thinking about it? We have it. 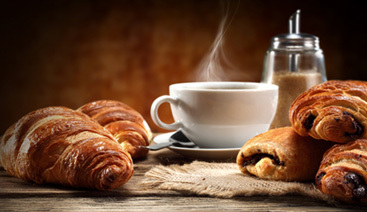 locally owned bakery & cafe... ...come hang out with us! Happy Birthday! Aww shucks, just because! Dine in, carry out, drive thru... Your choice, our pleasure! your day deserves a great beginning! 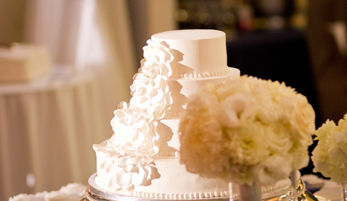 Contact us to set up a personalized wedding cake consultation. You will be able to taste the cake and receive a customized quote! Stop in early and enjoy our coffee bar for a full rich cup of coffee to get you through the day. If you have the time, sit back, grab a cup of coffee, and catch up with a friend at our coffee bar in our unique cafe atmosphere. 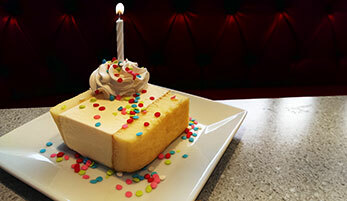 Celebrate your birthday in a super sweet way by becoming part of our Birthday Club! Sign up and receive a sweet treat from us on the special day!